After graduating from Viterbo University, Cyndy began working as a remediation specialist at the Gundersen Medical Foundation. In 1995, The Gundersen Remediation program became The READ Clinic as a part of the Medical Health Science Consortium. In 1997 she became the lead tutor and supervisor for the READ Clinic tutors. 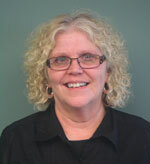 Cyndy served as director for the READ Clinic from 2004 until 2011. She is passionate about children and facilitating their journey to becoming independent life long learners. Arlene graduated from Martin Luther College, taught one year, married, cared for four children, worked in two libraries, and returned to teaching. In 2005 she earned a Bachelor of Arts in Interdisciplinary Studies, with an emphasis on teaching and working with children from the University of Wisconsin-Green Bay. Arelene hopes to help children find enjoyment as their world opens through reading. She enjoys retirement because it gives her more time to read for pleasure, and has allowed her, and her husband, to join their first book club last year. Mary Ellen taught for 34 1/2 years. She has a Bachelor of Science Degree from UWL in Elementary Education and taught first grade for four years. Then returned to school to UWL and received her Masters Degree in Learning Disabilities and Emotional Disturbance. Her last 30 1/2 years were spent teaching Special Education students in the states of Washington and Wisconsin. One of her greatest enjoyments is helping students become better readers and learn to enjoy reading.